The Building Project pages were completed shortly after we moved into our current building, and are kept here as an archive. 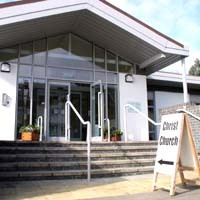 The first service was held in the new Christ Church building on 2 March 2008, bringing to an end a period of 18 months when the site was closed for redevelopment. 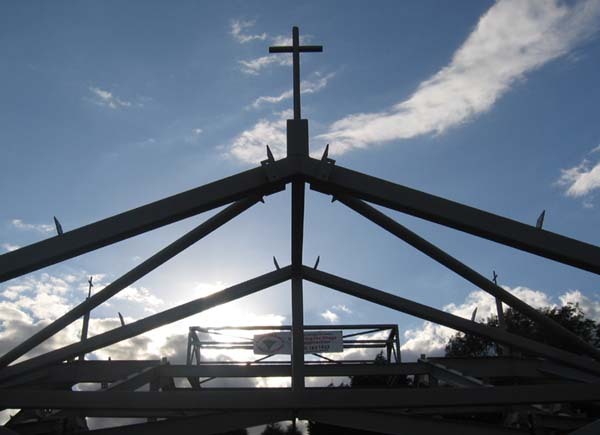 Over the previous few years the Building Project became a major part of the lives of Christ Church members, and made an impact on the wider community while the construction was taking place. 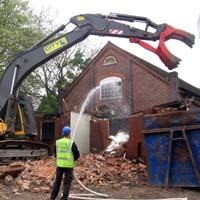 ...and you can view photos of the demolition and construction. 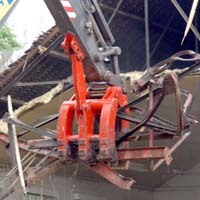 The final and most visible phase of the project - from September 2006, when we vacated the site - is described below. 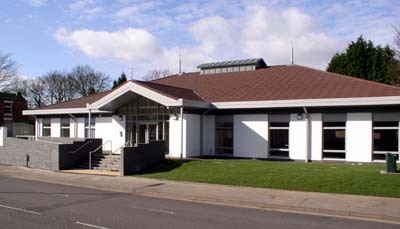 The former Christ Church building and the neighbouring Scout Hut were vacated at the beginning of September 2006. 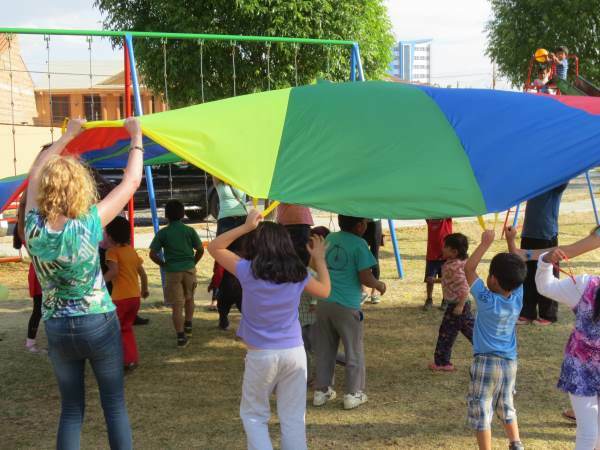 Our Not at home plans were put into operation so that the church and uniformed organisations could continue all their activities in temporary venues. For the next few months the buildings stood empty as most of the work took place behind the scenes. 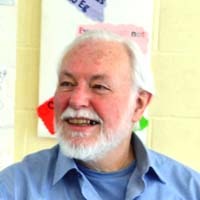 There was no visible progress on the site as contracts were negotiated and surveying and other preparatory work completed. 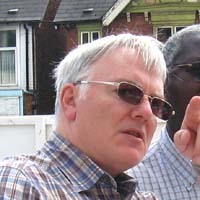 The building contract was awarded to Mansell Construction Services Ltd, and they took over the site in March 2007. During April, Central Networks disconnected the electricity substation and installed a new one on the other side of the site. 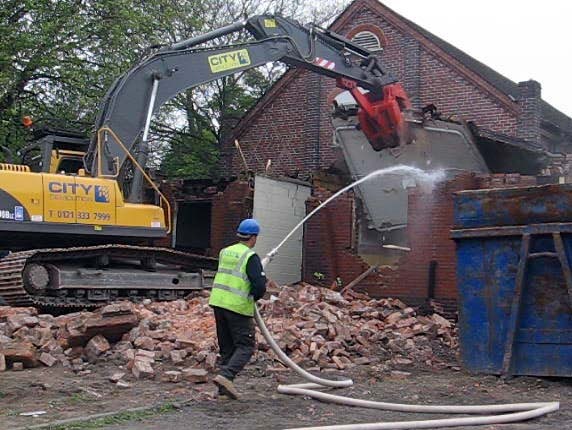 The former Christ Church building was demolished on 3 May, followed by the Scout Hut over the next few days. Once the site had been cleared, the side access road was constructed. 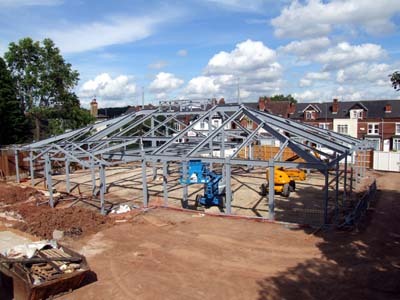 After laying the foundations, the builders erected the steel framework of the new building. Heavy rain during July delayed progress briefly, but work soon continued as the construction of the walls and roof got under way. 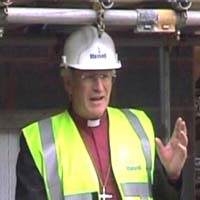 The Bishop of Birmingham, David Urquhart, laid the foundation stone on 14 September. The foundation stone of the old building was installed alongside the new one, as a sign of continuity from one building to another. 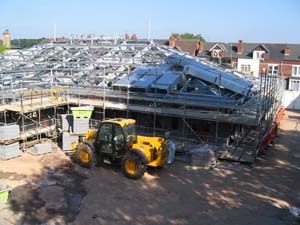 By mid November the roof was complete, which allowed the external scaffolding to be removed. 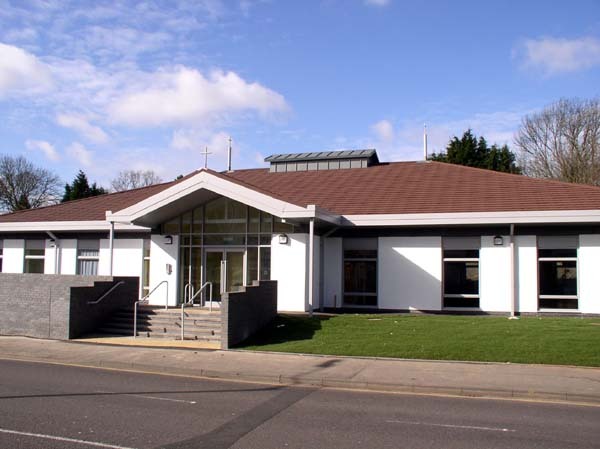 Most of the external windows and doors were also installed, giving the building (from the outside, at least) much more of the appearance of the finished article. 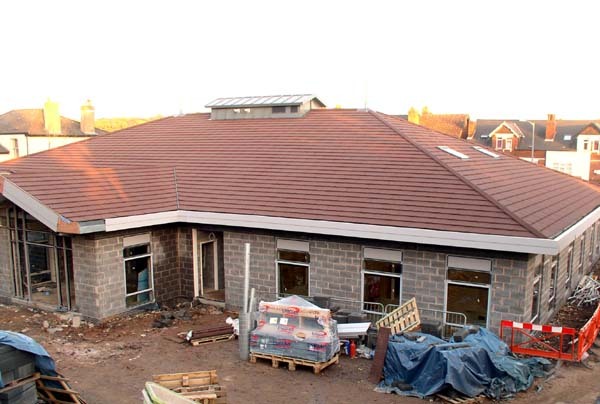 In December we were invited on to the site to look around the interior of the building. Church members and their families joined with the builders to sing Christmas carols and enjoy some food and drink - a generous gesture by Mansells. 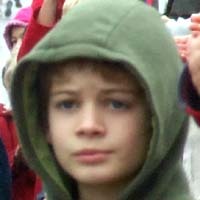 The heating system was also commissioned during December. Underfloor heating has been installed, so that the walls in the main halls are completely clear of radiators. Formal handover took place on Friday 22 February 2008, and our equipment was moved into the building over the following weekend ready for the first service on Sunday 2 March.